Getting help with your finances can be overwhelming. 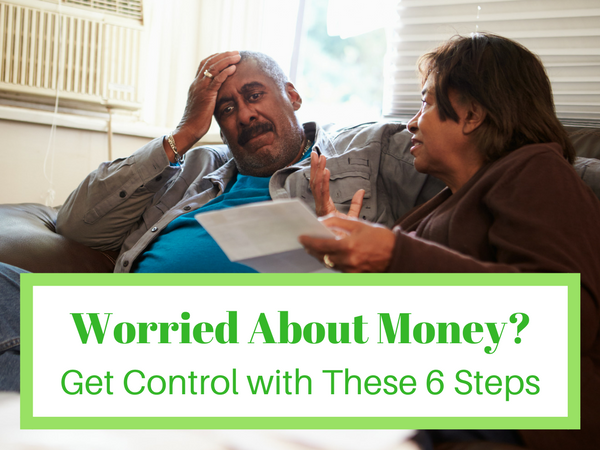 Before seeking help from others, here are 6 ways you can gain control of your money on your own. In 2016, 60% of Americans worried about being unable to handle medical costs due to an illness. 64% of Americans in the same survey worried about not having enough to pay for retirement. A full 34% were concerned that they wouldn’t be able to pay their rent, mortgage, or other housing costs. Another survey showed that 16% of workers spend 20 or more hours a month–on the job!–worrying about their finances. One 2015 survey found that 70% of college students were stressed about finances. Clearly, a lot of us are really concerned about our personal finances! We’ve talked about budgeting here on Five Cent Nickel quite a lot. But that’s not necessarily what I’m talking about here. Sometimes, you might have enough money to pay all your bills over the course of the month. But what if three bills come due in the same week? Can you handle them without overdrawing your account? This is where you need to understand your actual cash flow. There are plenty of ways to do this. I, for instance, use a Google calendar. I track when all our bills are due and when we’re getting payments into our account. This lets me see fairly quickly which weeks we need to be particularly careful about spending money. Simply understanding how your cash flow works can keep you from overspending at times when your bank account looks flush. Because sure, you’ve got a lot of money on payday. But what does it look like when you subtract all those bills due between now and next payday? For my family, getting a handle on cash flow has reduced stress around our money. 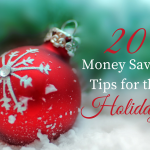 It’s also helped me find new ways to economize in a way that a regular monthly budget didn’t do. Some of your financial worries may stem from job uncertainty. Gone are the days when you worked for the same company for forty years before retiring. Now, the average person changes jobs more than ten times during his or her career. And most people spend less than five years in one single job. Sometimes changing jobs is a good thing. Maybe it means more opportunity or better pay from a new job you’ve pursued. But this new climate also means some employers are more likely to restructure or let employees go quickly. Because of this, having multiple streams of income is more important than it ever was. A good side hustle can help you achieve your financial goals more quickly while you also work full-time. And it can give you at least a small income to fall back on when you lose your job. Side hustles are as varied as hustlers and their skills. But a great side hustle will play well to your skills and interests. It might even rely on some of the knowledge you use in your day job. For instance, you’re reading my personal side hustle right now! By day, I’m in nonprofit marketing. So I write. A lot. Which means it’s a pretty efficient side hustle that I really enjoy! For more ideas on side hustles, check out this article. I know. You’ve heard this before. But here’s the deal: becoming debt free (or at least free of high-interest debt) is essential for building a solid financial future. The more debt you have, the more of your money is locked up each month. That’s money you can’t spend on what you want or save for the future. Want to know exactly what impact paying off debt would have on your finances? Take a moment to total up the monthly minimum payments on all your credit cards, personal loans, auto loans, and student loans. Does that number surprise you? Would getting rid of those payments mean more financial security? To get started, check out our guide to getting out of debt. A huge number of Americans have no emergency savings at all. They’re just one emergency away from massive credit card debt or bankruptcy. Start by just saving something. Even $500 can help you feel more secure about everyday disasters, like unexpected car or home repairs. Pay off your high-interest debt before you save a lot. You’ll get more for your money by paying off that credit card with a 25.99% APR as quickly as you can. Here, 0% balance transfer cards can help. Work on your other debts, but bulk up your savings, too. Once you’re down to lower-interest debts–even in the 10% APR range–devote that side hustle income to both saving and paying down more debt. Celebrate the small goals. Sure, you might be aiming to save six months’ worth of expenses. But celebrate every time you add another $500 or $1,000 to that savings account! It’ll keep you motivated to keep going. What if your main financial worries are retirement-related? Stop putting off saving for retirement! I know it seems like you can’t find an extra dime to save. But once you’ve taken these other steps, you may be surprised. If you’ve been paying $150 per month in credit card minimums, devote that money to retirement once the bills are paid off. You’ve been making the payments, anyway. Even if it seems like you’ve had to scrape to make those payments, you can devote them to retirement savings now. If you’re stuck in credit card debt, consider a balance transfer credit card to ease your interest payments. Even if you’re not on track today to have $1 million or more in your retirement accounts, saving something can help you feel more secure about your financial future. Sure, maybe you’re not going to retire at 55. Maybe you’ll even have to work until you’re 70. But with some money in your retirement accounts, you’ll broaden your options as you age. Really what all of this often comes down to is finding margin in your financial life. I find I’m most likely to worry about my family’s long-term financial future when we’re living right to the edge of our income. When we don’t have money left over at the end of the month to save–or even spend a little on things we enjoy–it’s just so stressful. The thing is, though, when I look back, I know that ten years ago we were living on much less. Even five years ago after our first child was born, our income was so much lower than it is now. That tells me that we’ve been adapting our lifestyle to our income, and not in a good way. If you look back, you may find that this is the case for you, too. So figure out how you can go back to a simpler lifestyle. The one you had before you took that last raise or started that side hustle. Maybe getting back to that place is as simple as cutting the cable cord and opting for cooking at home rather than eating out. Or maybe it’s as complex as moving back into a smaller, more manageable home. Either way, figure out what you need to do to re-gain some financial margin in your life. Once you stop living right to the edges of your income, you’ll feel more stable, make better decisions, and be on the path to a bright financial future.